Cyprus is a delightful place to live in or visit in the springtime. We usually consider March and April to be springtime, although I am including May on this page. By the start of March – sometimes mid-February – the chill of winter has mostly gone. At least, in the coastal and non-mountainous regions. There may still be snow in the Troodos mountains during the spring. There are usually a few days of rain – possibly some storms – in the Spring. But for the most part, the sky is blue and the sun shines almost continually. The parks and hillsides are green after the winter rains. There is an abundance of wild flowers. Spring weather in Cyprus is, for many, ideal. 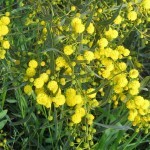 March is often known as ‘yellow month’ in Cyprus. 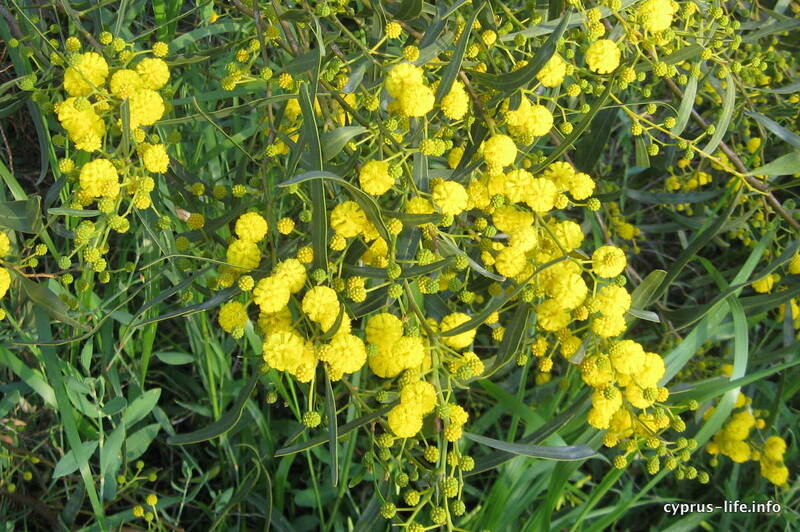 There are yellow coloured wild flowers almost everywhere at sea level. There is also some delicious-smelling blossom on many trees. March can, surprisingly, be colder than February sometimes, although by the end of the month there is more predictable sunshine and much warmer nights. We usually switch off our central heating by the end of March. We also move from using a thick duvet at night to a medium one. The page Cyprus in March will tell you more about this month, and what festivals you can expect in March. April is the perfect month in Cyprus for people used to British weather who want some sunshine. The sun shines nearly every day in April. The temperatures around the coast range from about 18-22C, usually, albeit a little colder at night. There can still be rain, often tropical heavy thunderstorms which may even contain hailstones. But they don’t tend to last more than a couple of hours. Afterwards the sun shines once more. We still tend to wear long trousers and sweatshirts for most of April, as we have adjusted somewhat to Cyprus weather. But many tourists go around happily in tee-shirts and shorts. By May, the Cyprus weather begins to feel distinctly warm for much of the time. There’s more sunshine and less rain. However there can still be an unexpected storm, or a few overcast days. We start thinking about switching to our thinnest duvet overnight at some point during May. Wee mostly don’t bother with sweatshirts, though we might put on light jackets in the evenings. Summer is definitely on the way. Temperatures generally range from about 20-28C during the daytime, 10-20C overnight. There can be a brief heatwave with temperatures soaring up to 32C or more, but this doesn’t usually last more than a couple of days. You can read more about this month and what to expect on the page Cyprus in May. For a reasonably accurate ten-day forecast, the UK Weather site seems to be the best we have found. For ten-day forecasts, choose from: Larnaca weather, Nicosia weather, Paphos weather, Limassol weather or (much colder, usually) Troodos weather.